Generating high-quality Immunoprecipitation & Western Blot (IP & WB) data has never been easier. See how you can easily achieve this in our Tips & Tricks section to get clean WB-IP. 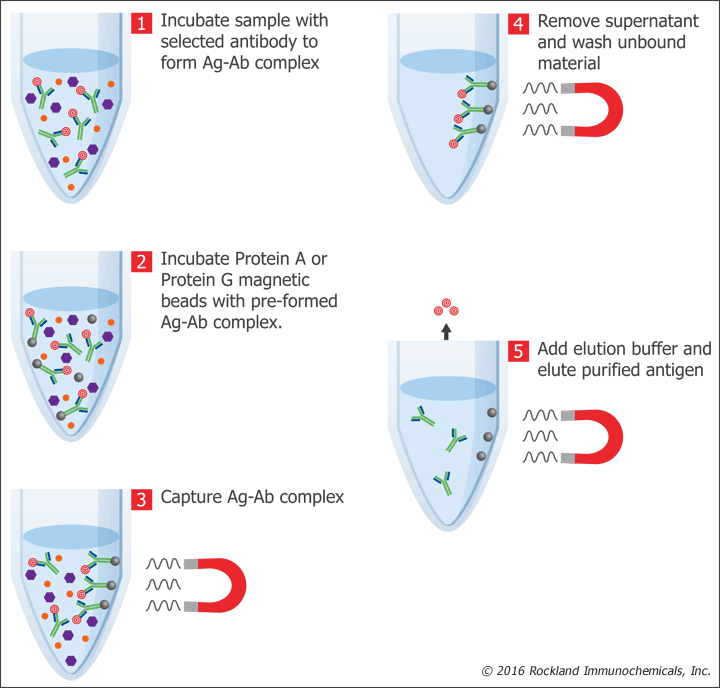 The TrueBlot® reagents (from Rockland Immunochemicals) are specifically designed to reduce heavy / light chain blotting contamination and ongoing interferences that commonly occur. Such problems usually arise when the same antibody (or antibodies from the same species) is used in both the immunoprecipitation and the primary western blot detection. This prevents biologically-relevant data from being collected, especially when the target of interest is similar in size to the heavy and light chains that may remain and create overlapping bands. 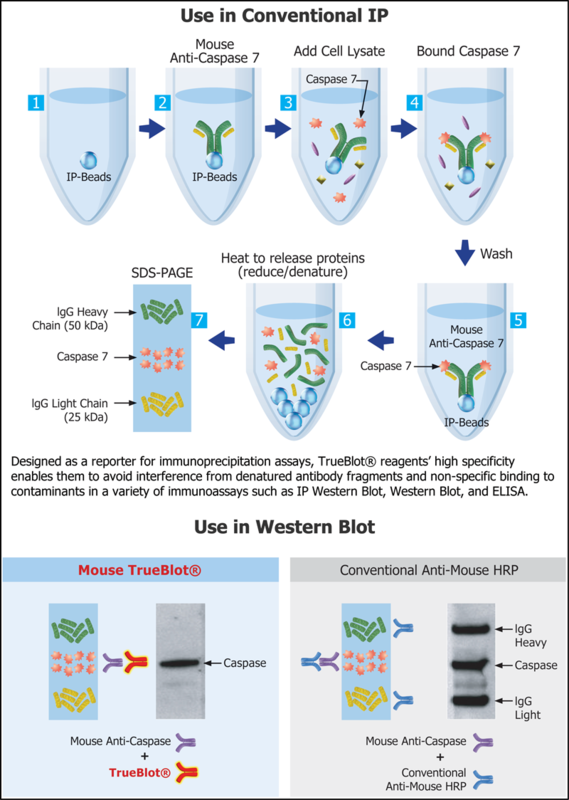 TrueBlot® products are prominent tools for bypassing these artefacts in IP & WB, whilst increasing the sensitivity of immunoassays for publication-grade WB. It eliminates 55 kDa heavy and ~23 kDa light chains from masking your proteins of interest. 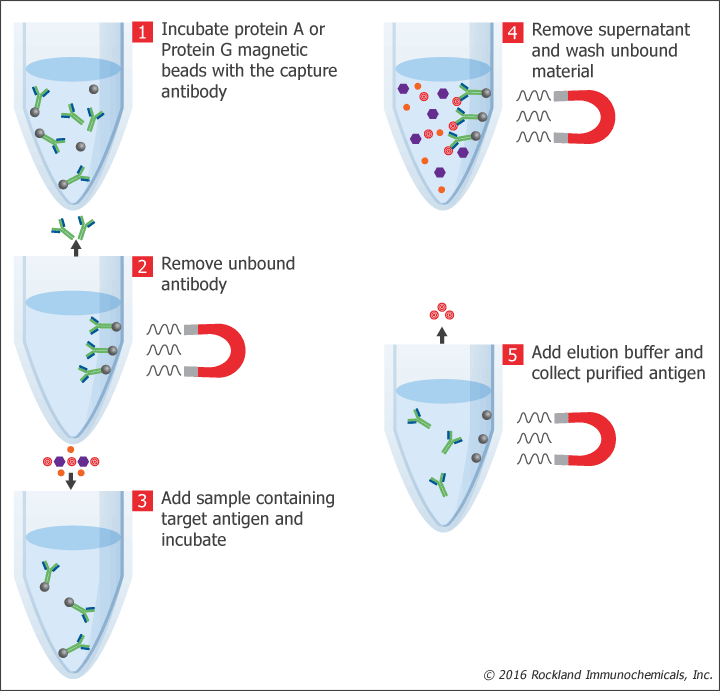 Indeed, the TrueBlot® secondary antibodies preferentially detect the native disulfide form of your primary antibody and effectively eliminate the “artificial” bands. Thus, only detecting your target protein and providing unparalleled clarity in results and high-quality imaging suitable for reproduction. 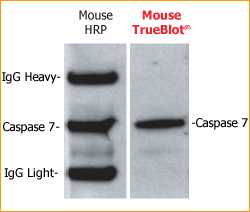 TrueBlot® immuno-blotting reagents are easy to use: simply replace your conventional HRP or fluorescent reagent with a TrueBlot® for publication-quality IP & WB data. 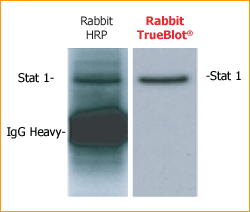 The TrueBlot® products are available for mouse, rabbit, sheep and goat primary antibodies. 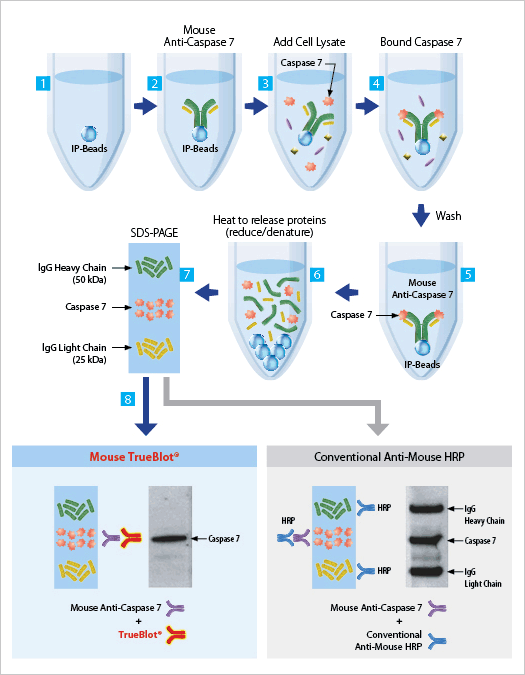 IP/Western blots thus obtained are highly specific with an increased sensitivity, less background noise, and enhanced accuracy. 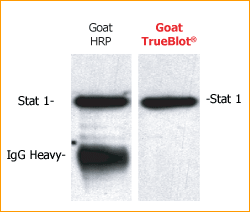 Easy to Use – HRP-conjugated TrueBlot® anti-Ig simply replaces your regular HRP-conjugated secondary antibody. 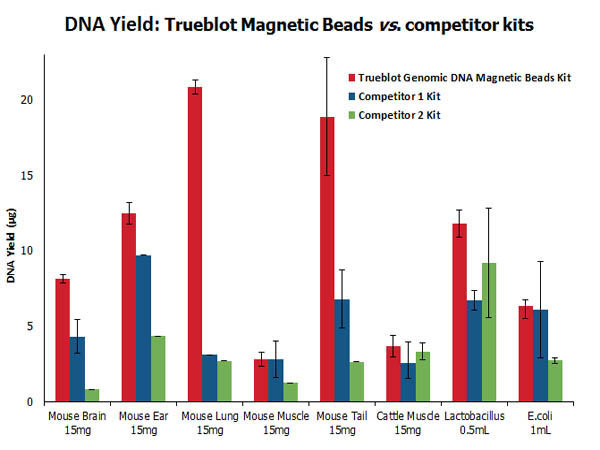 Accurate Target Detection – TrueBlot® preferentially detects native (non-denatured) Ig, ensuring you are only detecting your target protein. The basic TrueBlot® concept map is depicted below and outlines the major mechanisms by which TrueBlot® can create exceptionally clear results. See TrueBlot in action to get clear WB/IP results! Looking for other ideas on how to get clear WB/IP results? Leave a message below, we’ll be pleased to help you with personalized solutions.